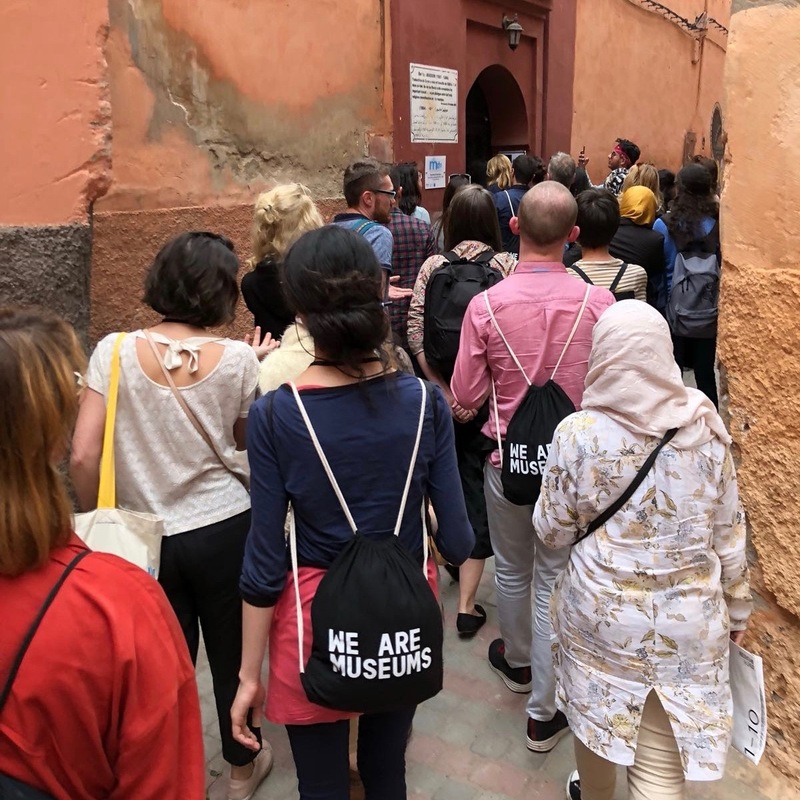 As we explained in our previous entry on digital exhibitions, Marrakech was the city where we organized the second one. Here is a brief summary of this experience. “Living at the speed of light. 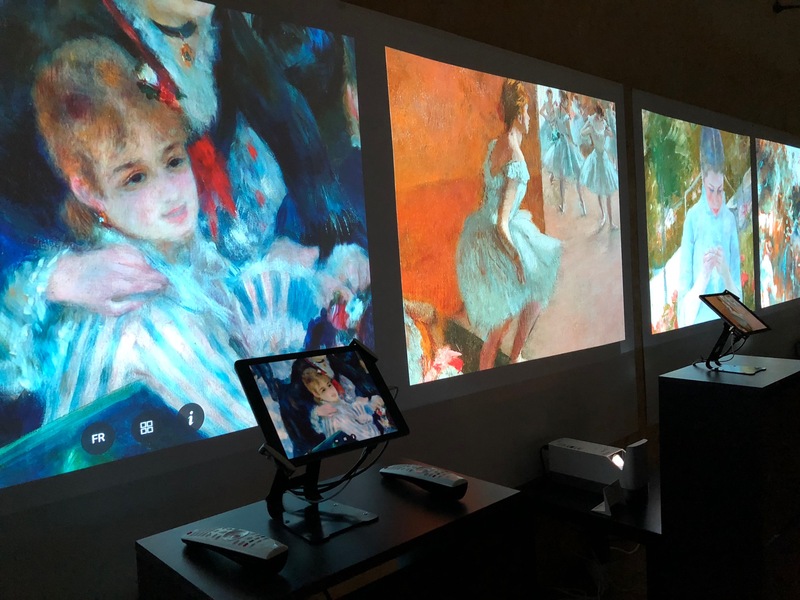 Impressionist instants towards abstraction” was a pop up exhibition that revisited works of the French Impressionism movement in a new way: the closer you get, the more innovative it was. This exhibition was open from May 8 to 12th 2018, coinciding with the 2018 edition of We Are Museums, an event related to culture and innovation. 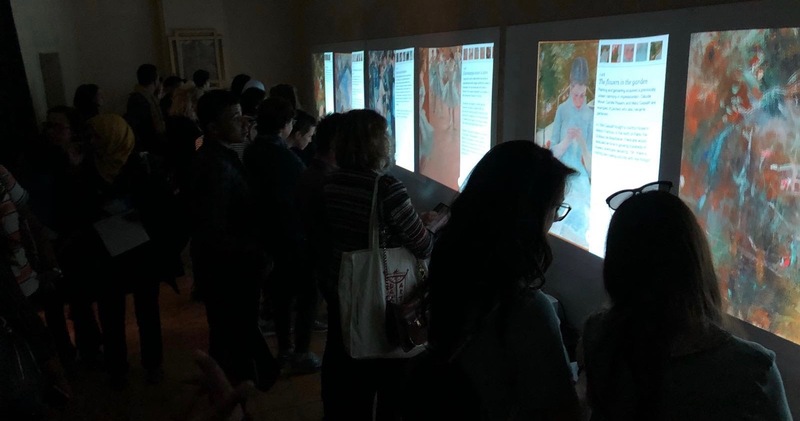 The origin of the project was a series of conversations that we have had with Institut Français and Réunion National des Musées – Grand Palais (RMN) exploring the idea of digital exhibitions that could travel to disseminate French cultural and artistic heritage. 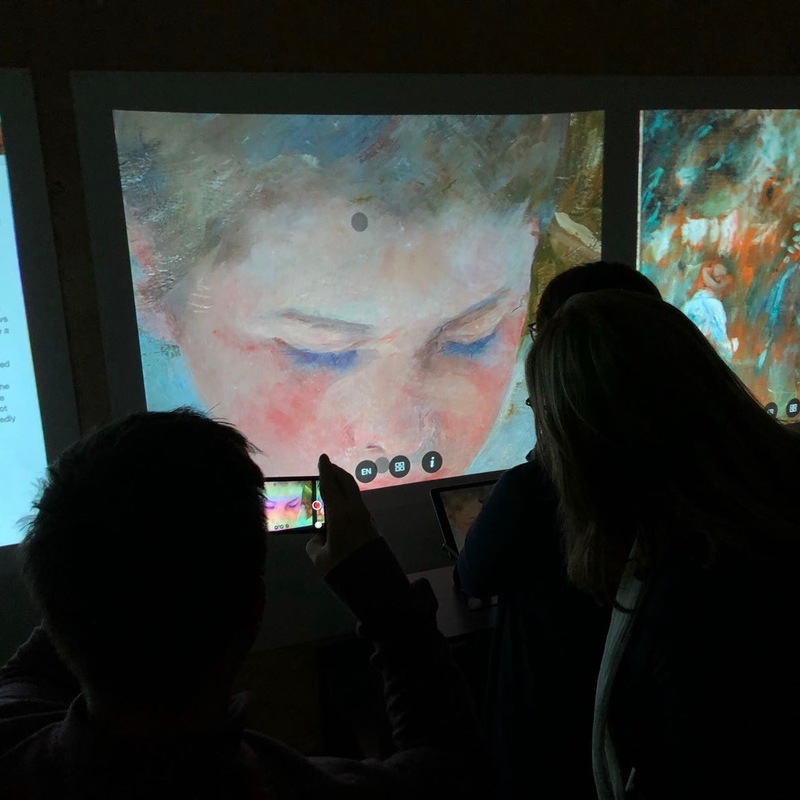 They wanted to know the options Madpixel could offer for setting up a cultural experience using the works of art that had already been digitized. As they required ​​a traveling exhibition, our proposal had to be portable, affordable and easy to replicate. Taking into account the previous San Telmo experience, the use of TV screens as an exhibition surface was ruled out due to limited portability and the logistical difficulty of rental. The solution was short-throw projectors which can be installed very close to walls, adapt easily to different spaces and have great image quality. They do require precise control of lighting conditions but in this case there were curtains that blocked light from outside. As we didn’t know the exact conditions of the space until the last minute, we decided we would use a simple projection surface made of foam cardboard. An iPad connected to the screen provided large projections, between 80 and 120 inches. All the interaction options that Second Canvas offers were available for visitors to enjoy. As our own solution was not yet ready, a very simple piece of IKEA furniture was used. It allowed the projector and the iPad to be installed as a single block. 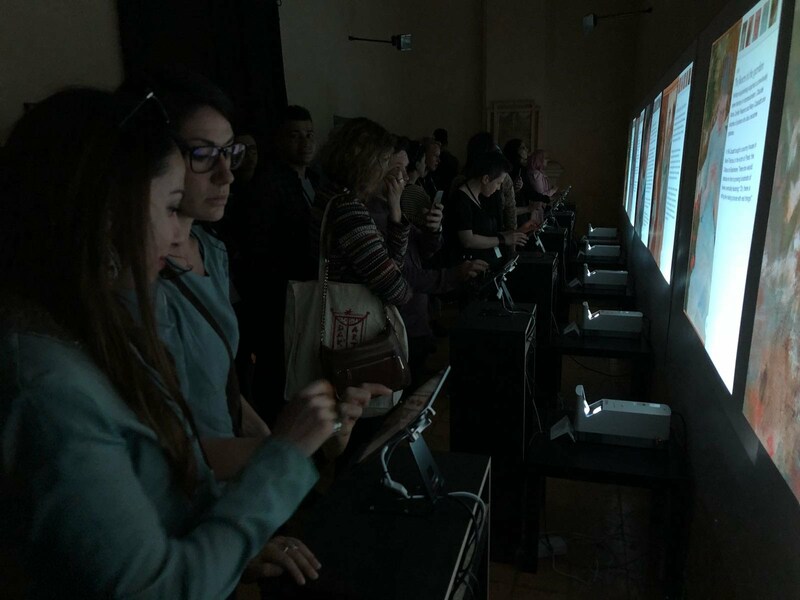 The seven projectors (one for each artwork) with their corresponding iPad were transport it in two suitcases and in a period of 48 hours the exhibition was set up at the Riad Denise Masson. Dismantling took only one day. 80% of visitors spent between 5 and 10 minutes exploring each artwork. The level of satisfaction with the experience was very high. Exhibitions of this kind are aimed at finding formulas to bring a cultural offer to places where otherwise they would only arrive with great difficulty. They also offer an enriched experience that allows the audience to explore the works with much more context, interpretation tools and more. If you want to know more about Second Canvas Exhibitions, remember that you can read our previous post or check out our website. And if you require any further information, feel free to contact us here.